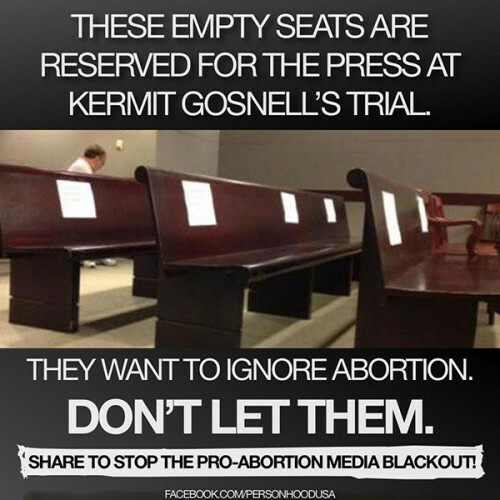 The Gosnell movie opens today in 750 theaters, and I’m going to see it! I read the book. If you see this movie, please think about the criminal negligence of the pro-abortion officials who didn’t want to know what was happening in Gosnell’s clinic. The health department did not inpsect his clinic for 17 years (as per my memory of the book). THEY should be on trial too, but that would be called a witch hunt or a politically motivated prosecution. But it is not about politics. I hope those in Philly who turned a blind eye to Gosnell are confronted in their hearts by their sins of omission. And that they fall to their knees to ask God for forgiveness. His courtroom will not be avoided, by them or by us. Lord have mercy on us all. Since I’m going to see the Gosnell movie today, I thought I would read a few articles to remind me of the facts. The best article was by the film makers themselves, writing for the Daily Signal. In progressive Pennsylvania, here was a doctor, Kermit Gosnell, an African-American, he’s in his early 70s now, who ran an abortion clinic for 30 years, where he routinely, and these are not my words, this is the grand jury’s words, where he routinely delivered babies alive and then cut their necks with scissors. And he did this for 30 years. That’s why in the eyes of the grand jury and also ABC’s Terry Moran, he was described as America’s biggest serial killer, which is the phrase we use in the film.